France and Italy’s separate decisions to officially recognize the mass killings of Armenians in 1915 as genocide sparked a diplomatic spat with Turkey, with Ankara strongly condemning its NATO allies for their stance regarding a controversial historical matter. 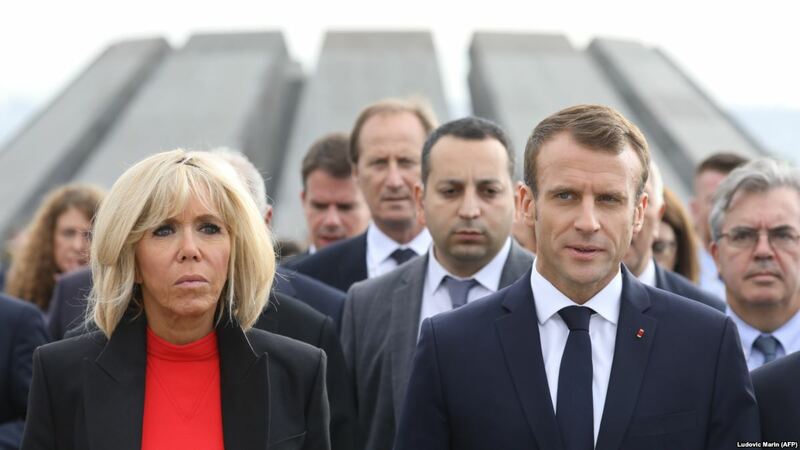 The diplomatic conflict sparked first by French President Emmanuel Macron’s measure to set April 24 as a day of annual commemoration for the victims of the killings one hundred years ago. He signed the decision, which had first been announced by Paris in February of this year, on Thursday. In a written statement reported by the state-run Anadolu news agency, Turkey’s Foreign Ministry strongly condemned the French declaration, warning that the step could damage two countries’ bilateral relationship. “Turks and Muslims all over France and the world will not forget this disrespect towards the memory of more than 500,000 Ottoman citizens killed by Armenian insurgents,” the statement said. Ankara also accused French President Macron of being “a populist leader who politicizes history to woo votes” of Armenian circles and using this promise to win elections. A similar move by Italy was also condemned by Ankara on Wednesday, as Italy’s lower house, the Chamber of Deputies, approved a motion to name the incidents in 1915 as genocide. Turkish foreign ministry called this move an example of using Armenian claims for domestic politics. Turkey concedes that many Armenians living in the Ottoman Empire, a 600-year-long sultanate, were killed in inter-communal clashes during World War One, but refuses to call it a systematic mass killing and a genocide. It says the death of Armenians in eastern Anatolia took place during Russian invasion and concordantly Armenian revolt against the Ottomans. Ankara describes the events as a tragedy which was suffered by both sides. On the other hand, the Armenian diaspora living in many parts of the world disputes this portrayal and description of the events took place during the dying days of the empire. The Armenians contend that Istanbul premeditatedly attempted to exterminate an entire community of people in Anatolia during the Great War. They also lament mass property confiscations by the Ottoman authorities. Ankara, in return, rejects the Armenian interpretation of what really happened in 1915. The controversy over how to interpret the tragic events of 1915 remains in place.